care for. But serviceability is only part of the story. 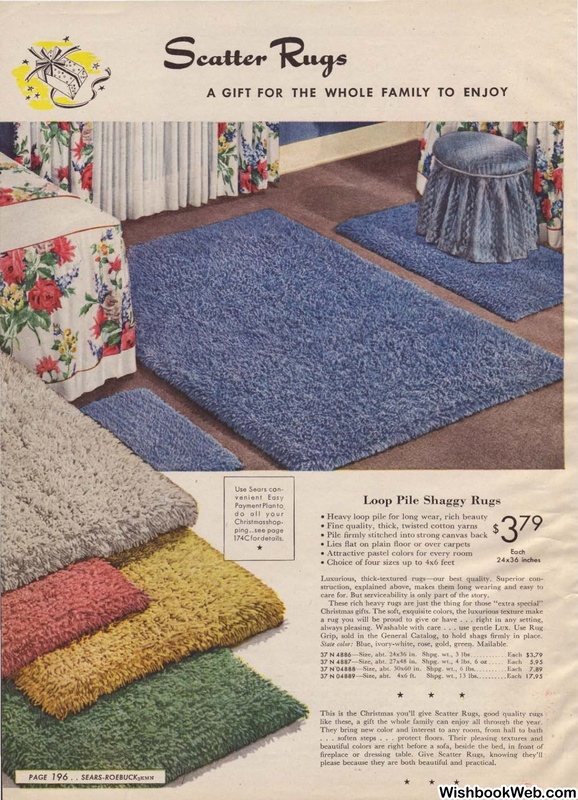 These rich heavy rugs are just the thing for those "extra special"
Grip, sold in the General Catalog, to hold shags firmly in place. Blue, ivory-white, rose, gold, green. Mailable. 37 N 4887-Size, abt. 27x48 in. Shpg. 37 N 04888- Size, abt. 30x60 in. Shpg. like these, a gift the whole family can enjoy all throw;h the year. please because they are both beautiful and practical.